With nearly 100 deaths a day stemming from opioid use, drug overdoses are the leading cause of death of Americans – beating car crashes, gun accidents and HIV infection. According to STAT, opioids could kill nearly half a million Americans over the next decade, and if that prediction proves accurate, the death toll over the next decade could top 650,000. It’s no secret: our country is facing the deadliest drug crisis in its history. This crisis doesn’t just affect those who struggle with addiction, but also their families, loved ones, friends, and communities. Aside from causing death and brain and body damage, this epidemic is causing an overflow in our hospitals, jails and streets. It has torn apart families, threatened regions’ economic development, and brought unexpected burdens across our country. Our organization is often asked who is hardest hit by opioid use. The sad answer to this question is: we all are. Opioid addiction knows no age, race, gender, socioeconomic, or geographic boundaries. There is no “us” or “them,” and no one is free from its impact. Still, as important as it is to recognize the crisis we are facing, it is equally important for us to recognize that there is hope. In the flurry of news coverage of overdose, death and statistics about addiction, messages of recovery are often lost. Fortunately, recovery is possible. There are people across the nation who are overcoming opioid use, and there are hundreds of organizations through which help is available. September is National Recovery Month – a time to celebrate people who have overcome addiction and encourage those who need support that they can succeed and they are not alone in the fight. There is no better time for us to sew a message of hope and recovery. The opioid crisis affects us all, but with appropriate action, we can curb the rising tide of drug abuse and direct those who are struggling towards the path of recovery. To do this, we must come together to help those who struggle with addiction find the services and support that they need to succeed. For the general public, this means not being afraid to address expected substance use in those around us. For our public officials, this means finding more pathways to help ensure that those in need have access to as many treatment options as possible. 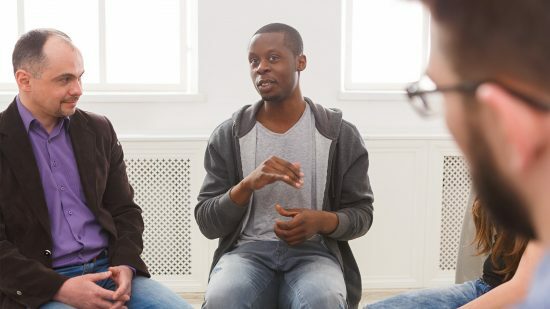 For those of us in the treatment community, it means seeking more ways to connect with and to educate people about addition and recovery. For those in recovery, it means sharing your stories and helping to break through the darkness that this epidemic has cast on our nation and create hope that recovery can happen. This Recovery Month, let’s work together to spread the word that recovery is possible. Let’s celebrate those who are seeking recovery, and let’s offer support, reassurance and solutions. Acknowledging a recovering person’s efforts and validating their commitment provides support and encouragement to continue towards recovery. Centerstone is committed to providing the support needed to assist those seeking recovery from substance use issues. Centerstone is located in Florida, Illinois, Indiana, Kentucky and Tennessee. Our contact, appointment and crisis phone numbers can be found here.